Are you not feeling great? Do you wish you had more energy? Have you recently been sick? Healing Food is food that feeds and nourishes you. It builds and energizes you at a cellular level, to make you feel fantastic! This food is packed with vitamins and minerals, and known historically, to sustain cultures. Nutrients build the cells; cells build the organs; organs build the systems; and systems build YOU! Healing food is real, nutrient dense food. It is the food that you find on the outer aisles of the grocery store, at the farmers market, or better yet, your own backyard. The time has come to reclaim the local economies with the food we eat, and gain empowerment in the kitchen. In doing so we are saying no to corporate food, and no to chemicals and synthetic ingredients masking as food. Our bodies do not recognize the “frankenfoods,” and if we eat mostly fake food, our bodies will pay the price. I am a believer in food as medicine. And when you start changing the way you eat, the body will respond. Support farmers’ markets because that is the healthiest food available. It’s food that was harvested that day. By supporting farmers’ markets, you contribute to building community by supporting the livelihoods of farmers who bring food to table. Sourcing food is not something that you learn overnight, and in my practice I suggest the baby steps. Eat Well. I base my foundational nutritional knowledge on the research of Dr. Weston A. Price. He went around the world in search of societies that weren’t yet touched by Western civilization, or as he said, “foods of commerce.” As he traveled around the world with his wife, his hypothesis was supported by what he saw. He saw civilizations where cavities were unheard of, people had big toothy grins, and people lived in good health until their 80’s and 90’s. Weston A. Price believed that the food consumed should be closest to nature or in other words closest to the source. If you are interested in learning more about his research, I recommend checking out his book, Nutrition and Physical Degeneration. 1. Had four times the minerals and fat soluble vitamins, and ten times fat soluble vitamins found in animal fats. 2. Fermented foods and high enzymes in diet. 3. All traditional cultures consume some sort of animal food, such as fish and shellfish; land and water fowl; land and sea mammals; eggs; milk and milk products; reptiles; and insects. The whole animal is consumed —muscle meat, organs, bones and fat, with the organ meats and fats preferred.5. Soaked and sprouted seeds and nuts. 4. Traditional diets contain nearly equal amounts of omega-6 and omega-3 essential fatty acids. 5. All traditional cultures make use of animal bones, usually in the form of gelatin-rich bone broths. 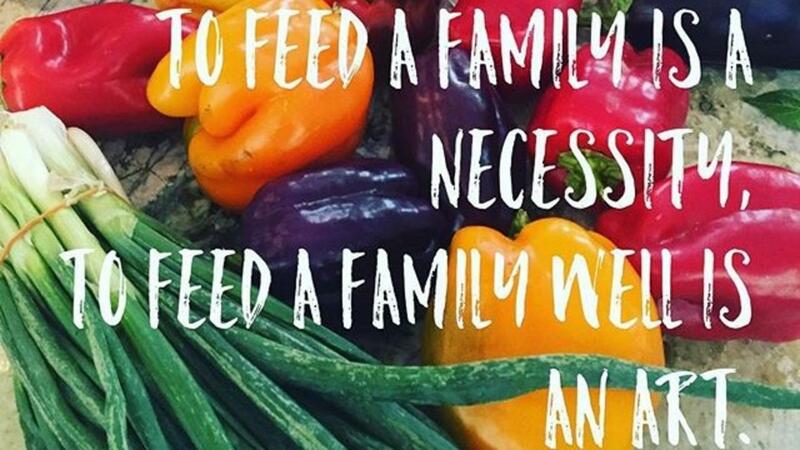 So the first baby step would be to get yourself to your local farmers market and pick up some produce for just one meal. Start with a simple soup or salad. I will be including more recipes in the future, or you can choose one in my FREE recipe book when you opt in below.